Emotional eating (sometimes referred to as ‘binge eating’) is a modern phenomenon that affects many of us on a regular basis. In fact research indicates that almost half of all UK adults eat in an attempt to change negative moods and emotions, rather than because of hunger. This urge often feels far too strong to fight, compelling us to consume vast quantities of so-called ‘comfort’ or ‘junk’ food. And whilst this might satisfy us momentarily, we’re usually left with powerful feelings of guilt or shame and an ever-burgeoning waistline. With 29 million people in the UK now either overweight or obese, it’s time to take control of your eating habits and start enjoying a happier and ultimately more fulfilling life! To understand emotional eating and why we do it, we first need to analyse which of these needs we are trying to satisfy with food. Binge eating or emotional eating is part of our nutritional ‘blueprint’ and often reveals something very specific about what food means to us as individuals. Somewhere in the past you may have unconsciously associated food with a quick, short-term solution to one of the above needs. Breaking that habit might seem as daunting as climbing Mount Everest, but it is certainly possible. Below are some simple steps that will help you free yourself from your continuous cycle of binge eating followed by a succession of failed diets. The key question you need to be able to answer in order to get your food cravings under control is: ‘how is my eating satisfying a basic need within?’ Experts estimate that 75% of overeating is caused by our emotions and we usually crave something particularly unhealthy when we are feeling angry, stressed, frustrated, tired, bored, sad or lonely. Acknowledge what it is that you’re feeling at the precise moment your urge to binge hits and keep a journal detailing your unique eating pattern. Once you understand your personal emotional eating triggers and can recognise when the urge to eat something unhealthy is likely to strike, you’ll be able to pre-empt it and stop it in its tracks. 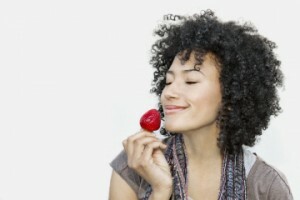 You can do this by satisfying your basic need with another activity that you find as enjoyable or comforting as eating. If you’re feeling sad or depressed for example, try phoning a good friend for a heart to heart or curling up on the sofa with your favourite feel good film or book instead. Work off some of your pent up anger and frustration at the local gym, or soothe your soul with some outdoor work in the garden. Or take your dog for a long, brisk walk. Did you know that recent research indicates that owning a pet can make a real difference to your emotional and psychological wellbeing? Studies conducted by Allen R. McConnell at Miami University in Ohio revealed that pet owners have greater self-esteem and tend to be less lonely or fearful than non-owners. If you run out of fun activities to combat your emotional eating urges, you can always make a start on some of those chores that you’ve been putting off indefinitely, such as cleaning the house or washing the car. Anything that helps take your mind off your cravings! Despite your best efforts, you may still find it difficult to control your impulse to eat when you’re not hungry from time to time. If this is the case, try swapping unhealthy ‘comfort foods’ for more wholesome alternatives that won’t damage either your physical or mental wellbeing.You can replace fattening crisps for example, with crunchy kale chips or trail mix prepared from a delicious selection of raw nuts and seeds. If you have a particularly sweet tooth, you can exchange your usual confectionary for dried fruits such as goji berries, Incan berries and banana chips. If your comfort food of choice happens to be chocolate, then you’re not alone. The reason that so many of us turn to chocolate in our hour of need, is that it contains more than 500 natural chemical compounds, many of which are mood-elevating and pleasure-inducing. These include theobromine, a mild natural stimulant, caffeine a well-known pick-me-up and phenylethylamine (PEA), a substance that triggers the release of natural, feel-good chemicals in our brain called endorphins. As these are the very same chemicals that are released when we fall in love, it’s hardly surprising we can’t get enough of it! The good news is that you don’t have to sacrifice your chocolate fix in order to successfully manage your emotional eating. Homemade raw chocolate is the perfect substitute for standard chocolate. Raw chocolate is prepared from raw cacao, which is rich in beneficial nutrients and totally unrefined. It contains no milk or sugar, and thanks to its high chromium content, can actually help us lose weight. Raw chocolate boasts extremely high quantities of PEA, which as we now know satisfies our feel-good cravings. And unlike other chocolate products, raw chocolate contains no mycotoxins, fungi or yeasts that can trigger a reaction of the adrenal glands and lead to feelings of anxiety – the last thing that you need when you’re already feeling low. The serotonin in raw chocolate is also believed to influence our brain cells including those related to mood and sexual desire. You can find a superb selection of tempting home made raw chocolate recipes in ‘Naked Chocolate’ a thought-provoking book by David Wolfe and Shazzie.